Throw out the rule book: Apparently the new rule is that there are no rules, think mismatched bridesmaid dresses, couples changing up who walks down the aisle and non-traditional bridal gowns. Even mixing up the wedding style with food trucks or picnic style weddings. Meaningful Bonbonnieres: Forget personalized stubby coolers and key rings, couples are moving toward providing more meaningful keepsakes, from hand-written notes to making a donation to a local charity in the guest’s honor. Even a mini succulent plant is a great option, adding greenery to the table as well as being a keepsake. Changing up the bridal party: Mixed and untraditional wedding parties are the way of the future. Gone are the days of equal numbers of bridesmaids and groomsmen, instead there will be a mix of genders on either side or quite often, no bridal party at all. Mixing up the Menu: More personalized menus to cater for the changing palate of guests, with far more vegan and vegetarian options on offer. Many brides and grooms are opting for share dishes and banquets as opposed to traditional alternate drop mains. Sweets tables over dessert are also popular. Get personal: Hire vendors that not only suit your aesthetic and your budget but connect with you on a personal level, make sure they’re a good personality fit and someone you’d be happy spending time with for several months in the lead up to planning one of the biggest days of your life. 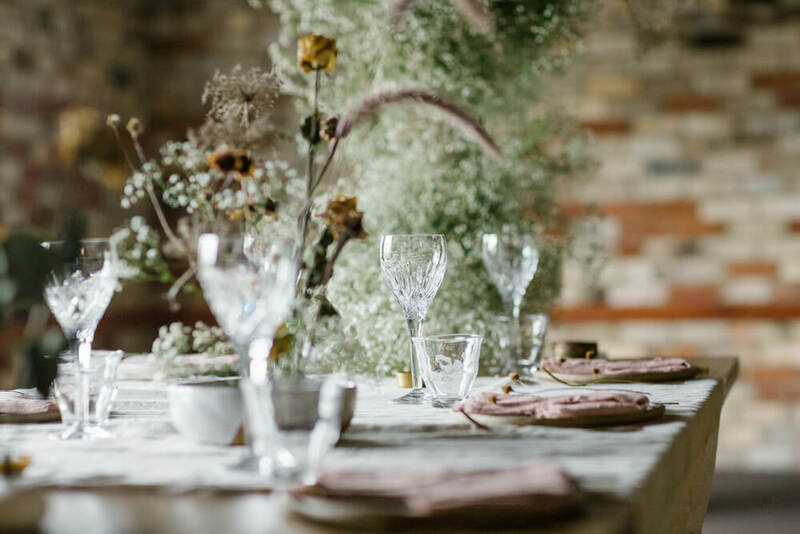 Going green: Eco friendliness and sustainability has come to the fore front of recent, so it shouldn’t come as a surprise that many brides and grooms will be looking for eco-friendly or sustainable alternatives in décor, gifts and catering sources. This is an increasingly trend with reportedly, Princess Eugenie’s wedding being plastic-free? What can you change to eco-friendly? Recycled stationery for invites or go one step further and issue e-invites to your wedding, saving the paper. You can also purchase seeded gift cards, when planted they grow a flower or herb plant. Seasonal produce and flowers can also be ethically sourced in season.